Poetry is a window into the soul. It is as individual and unique to each poet as life shaped different irreplicable moments in perception through experience. An imprint of the individual’s words put on paper unveiling the soul. 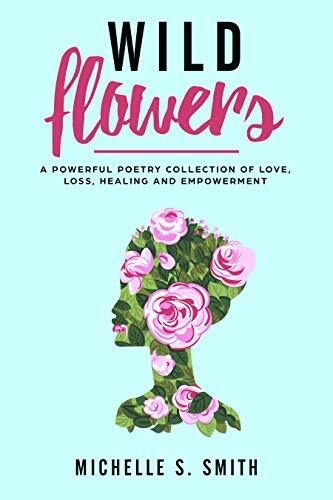 Wild Flowers is a beautiful collection of poetry that describes a moving journey from Loss, Pain & Depression to Abandonment, Love, Empowerment, and Healing in striking prose. A facet of lows and highs offering varied emotional dimensions so pure, poignant and shattering, it is a feast for the senses, a revealing of the soul. I really enjoyed Wild Flowers. I was able to relate to many of the emotions of the darker torment and turmoil of abandonment to the uplifting words chosen for empowerment and healing. Whether these poems stem from private memories or were written with the intent to convey emotions in an audience I cannot say, but many of these made me think of loved ones that are struggling and could appreciate a poem as such on a card sent. This collection is nice to have on hand in the right moment, and I am happy to have read them. I received a digital copy of this collection from the author in exchange of an honest review. All opinions are my own.